The rooms of the classical building form an excellent setting for the presentation of the city’s history. At the time of my visit, a special exhibition talks about the Weimar Republic, which was founded in this city in 1919. A commemorative plaque at the German National Theater (Deutsches Nationaltheater) identifies the location of the then National Assembly. With a smile, I listen to an interview of an eyewitness, who attended the assemblies of the deputies in the German National Theater as a small child. Afterwards, she played these meetings with her teddy bears. 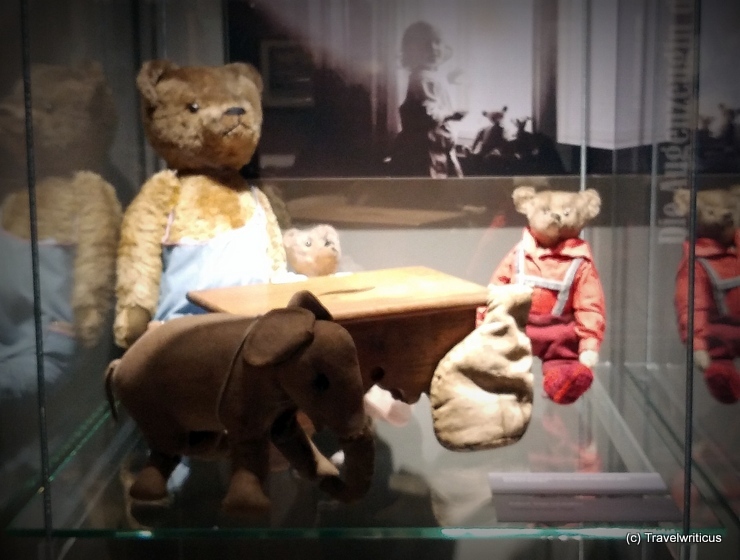 Their bears have survived to this day and are part of the exhibition. 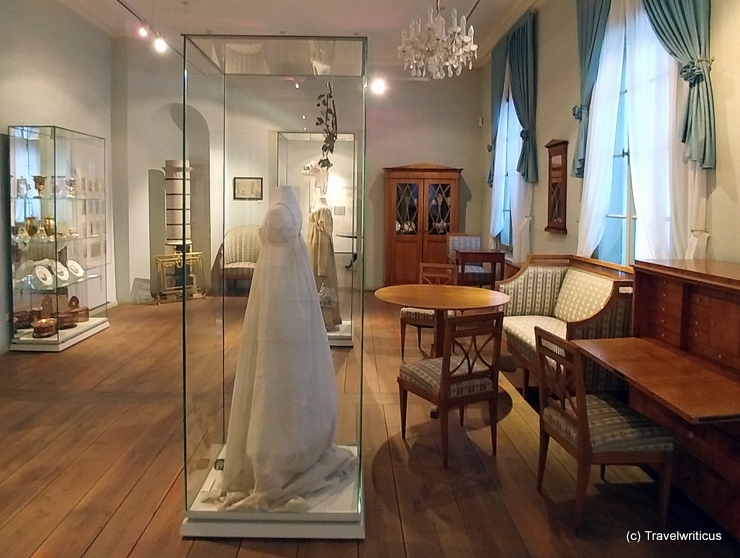 This entry was posted in Museums and tagged Germany, Thuringia, Weimar by Travelwriticus. Bookmark the permalink.